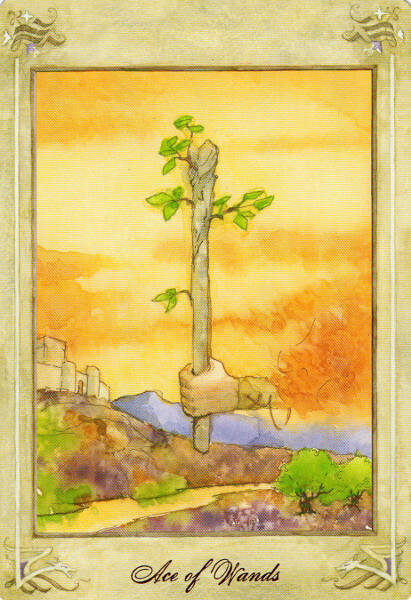 The card for October is the Ace of Wands, from the beautifully painted Llewellyn deck. This shows a single wand with shoots appearing, and talks of new beginnings, the starts of projects, particularly creative endeavours. Another card connected with beginnings, from last months ever increasing clarity about what the truth is in our lives and what we need to do – this month we have the energy freedom and inspiration to start on our new pathway, with passion, aliveness and plenty of exciting ideas about what we could do with our future. You are likely to feel in high spirits, energetic and enthusiastic about all you are beginning. Ensure you don’t over do things though, make sure you do also rest and take time out to recharge where you can, though mostly you are likely to feel you are on a roll. It is a great time for gaining lots of ideas, that inspire and express your deeper truth. Many will just be conceptual at this stage as they will take time to come into being. But if make note or remember the most exciting ideas you can work towards bringing them into being little by little as time goes by. It is likely you will begin to understand what truly your life and possibly you will be moving forward this month into a new life style or routine, which will be enjoyable and enlivening. Allow yourself to follow your creative impulses, musically, artistically, expressing your deepest self even through your day to day activities. Things are conceived of this month then acted a later date, but the very ideas that found the future can be discovered this month. An exciting month infused with spirit and meaning, enlivening and rejuvenating as you discover your highest purpose. Allow your joy to guide you and nurture the most prominent ideas into being! Congratulations to this month’s Free Prize Draw winner SAMANTHA. You have won a free quick look reading – I have sent you details of how to claim by email. 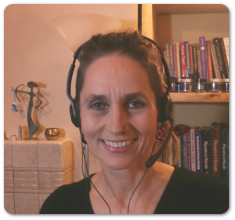 Telephone Reading: As soon as Emma tuned in and started to relay the information I knew she was connecting to a higher source. She tapped right into my issues and even used words & phrases that use to describe my situation. Very intuituve & enlightening. I highly reccommend to everyone! !